The ring itself is really gorgeous in real life. I'm not going to lie it did look a little bigger on the site, but I actually love how dainty it is so I'm not really complaining. One of my favourite things about it though is the teardrop cut of the pink sapphire as it gives the ring a bit of an edge as it's not your standard square or round cut. I always love something a bit unusual even when it comes to everyday pieces, so I love that it also has ten diamonds around the sapphire too. 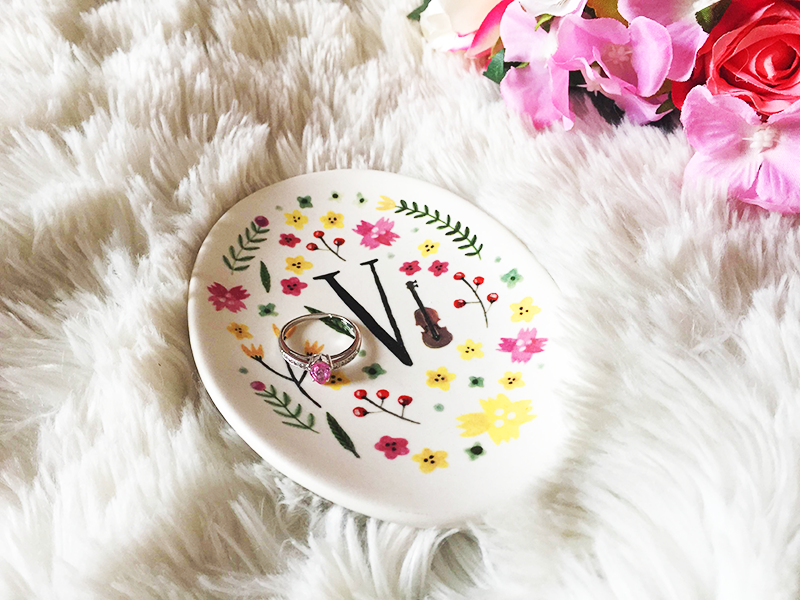 When I'm not wearing my rings, I like to keep them in my adorable little Meadow Trinket Dish from Anthropologie. They have ones for each letter of the alphabet, so I definitely recommend them as a cute little personalised gift for a friend (or even yourself!). All in all I'd definitely recommend Rocks&Co if you're looking for a special piece of jewellery. They have a whole range on their site with different price points so there's really something for any budget. Oh and if you love pink as much as me, check out the ridiculously beautiful Pink Latte I had at Palm Vaults, because I'm kind of still not over that yet... Anyways, have a great week lovelies! Ooh, it's so pretty and minimalist but still unique in it's shape! 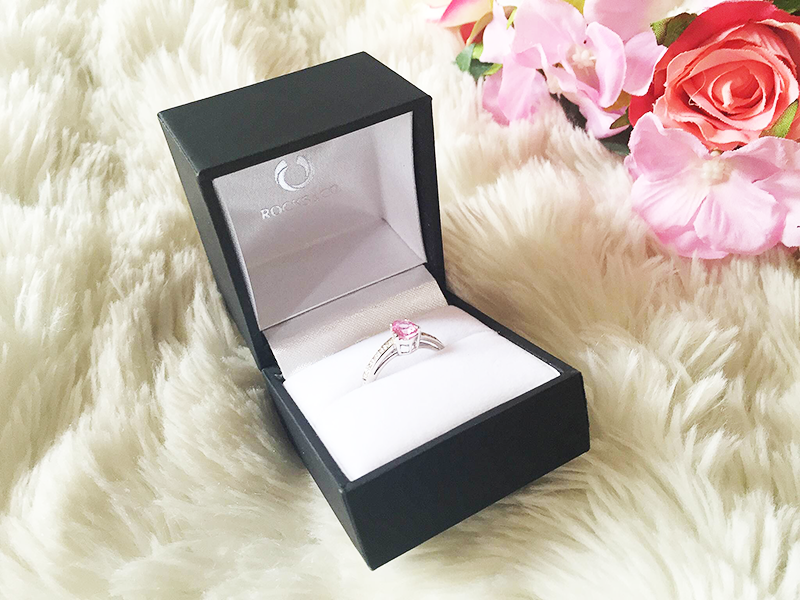 It looks like a ring you could wear everyday and it would go with pretty much everything! Plus, I totally agree there is no such thing as too much pink! what a pretty ring! 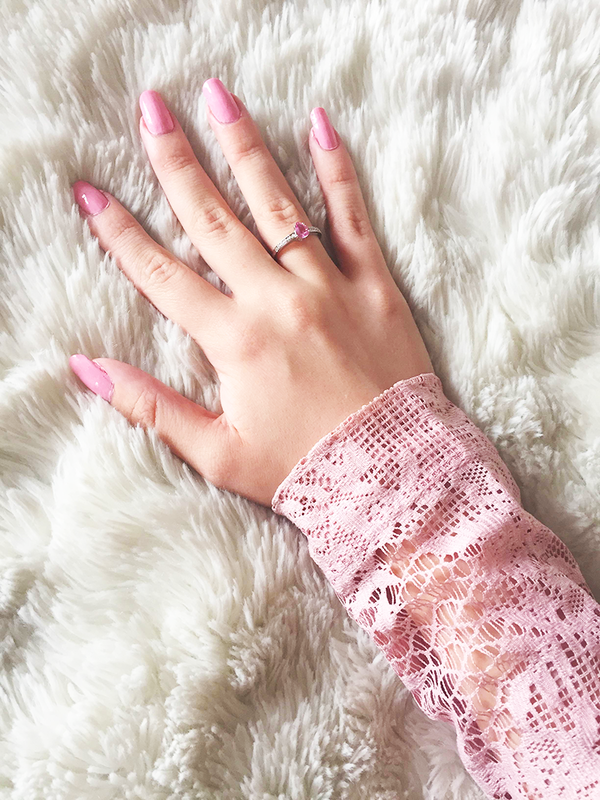 not heard of the brand before but it suits you and your mani so well!